So, you have decided to clean your house on the next holiday. 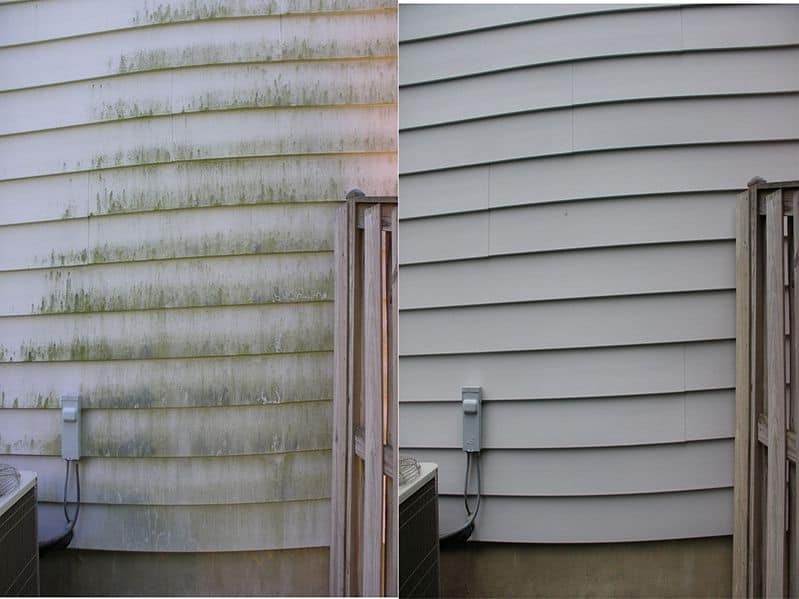 Are you messed up thinking how to pressure wash a house with vinyl siding? If the answer is yes, don’t worry you’re in the right place. We can help you with your purpose. It’s essential for you as a homeowner to clean your house minimum once or twice in a year. Before that, you should know the ins and outs of cleaning a house. In the post, we provide the details about the pressure wash the siding. We divide the article into different parts. At first, we discuss the vital part of a pressure washer. You should know the specific parts because the parts have an essential role during wash a house. Next, we discuss the preparation of washing. And at last, we provide the method of washing a house. We hope that you’ll get enough information about the presser cleaning a home in the post. I called up a local pressure washing service provider for the very first time and they showed up with a pressure washer mobile trailer. And then I decided to get a pressure washer for me as I was too excited about that equipment. Yes, it’s pressure washer that can help to solve your problem. But, you don’t know about the device. First, you should know some vital features and how they work. Let’s look at the procedure of how to wash a house effectively. The nozzle is one of the most important features of a pressure washer. It’s also a spray tip. Let me tell you an example, you want to reach the window which is 10 feet far from you. But it’s not possible for you to reach there. Now, what can you do? Use the nozzle to solve the problem. Always use the 25 or 40-degree nozzle tip for better performance. Controlling the flow and velocity is the main job of the nozzle. What do you think? Can the water only remove the dirt from your house siding? No, the detergent makes the cleaning process more comfortable. Detergent can make your building smooth and shiny. The house siding may risk damaged without using the detergent. There are different kinds of detergent in the market. Choose solutions that are environmentally friendly. A brush isn’t essential while pressure washing your house siding. Moreover, you can use the brush attachment for better cleaning capacity. It can also give a better performance of the power pressure. The brush will scrub and push the dirt and grime. There are different kinds of brush. The brush can clean the dirt off vehicles, decks and other surfaces. They are comfortable to use. Choose a brush of less than $40. Owner of a two-storied building or more? The extension wand is suitable for you. It can help your power washing easy. It has extra attachments to put on the end of the extension wand to reach the highest area. The process is possible to safely stand on the ground. You can remove the dirt of second storied surfaces. It can also clean the gutters from the ground. Telescoping extension wand is our first choice for you. Let me explain about the GPM and PSI. GPM stands for gallons per minute. It means the amount of water flow that comes from the pressure washer. And the PSI stands for pounds per square Inch. It refers to the amount of cleaning pressure that the pressure washer can produce. You can select the machine with the GPM of 2.3 and PSI of 2600 for better performance. Try to find a higher GPM pressure washer. Because the high GPM can clean the large surface. Should you pressure wash vinyl siding? Can black mold grow on vinyl siding? I heard these two questions a lot over my whole professional life and I answered “YES” for both of them. People like me, who do not want to waste time and energy for this tough job prefers a pressure washer for doing the job. However, a good vinyl siding cleaner is always going to be on your side. Now let’s check out some great vinyl siding cleaners tested by me and my neighbors. 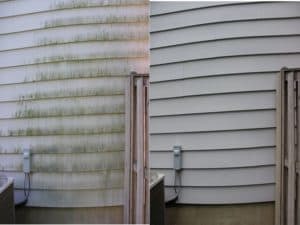 And, we finish the first part where we have discussed the good consideration for pressure washing a house siding. Now, this is the time to prepare. Have damage or injury during the pressure wash? Yes, this is a million dollar question from the user. Everybody wants to be safe while he is in working. We find some simple things that are an injury. Follow our instructions and save from the harm and damage. Electricity is a crucial and sensitive thing in our everyday life. You should always care about it. While starting pressure washer, make sure that you turn off the power of the outdoor electrical ports except for the machine. It may occur great damage if you switch on the electricity in your home. Water gets into the electric port and damage all. Do you have confidence enough in your power lines? You should always be aware of your lines. Some lines of the houses throw the ground and some run with their roof. Which one is yours? Recheck the line and make sure that you do not fault in the power line. If you see any error, repair it as soon as possible. Then go for your next action. Remember, This is a vital part of power washing home exterior. Many people use the ladder while washing their house. They don’t know the demerits of the ladder. So, when they want to clean their two-story building, they must think about it. Do want to take any risk during your job? Ok, I get the answer. Using the machine it has some risk. Using a ladder is one of the dangers. We tell you not to use the ladder. You can use the risk-free extension wand and better performance. Yes, you should wear some safety equipment. These are called PPE, PPE stands for personal protective equipment. You can save your eye first. So, you should wear proper safety goggle to prevent flying objects. It’s better if you wear the proper gumboots while working with the pressure washer. Never start pressure washing a house without wearing the boot. The gumboot can help for better work. Hands are the most common injury prone body part during pressure wash. So, use gloves when you are ready for washing. The gloves protect the hands from injury and improve the grips. If you use the gas powered pressure washer, it’s essential to use the ear protection. Ear protection can protect your hearing. It’s not necessary if you’re using the electric pressure washer. Soap is a detergent that is made of oils and fats from animal and plants. Bar soap utilizes sodium as salt. Liquid soaps typically employ potassium as salt. The soap can break down when mix with the water. When you start to clean with the soap, it also dissolves the dirt and grime. But, the detergent made from chemicals. Detergent is suitable for washing clothes. To make an effective cleaning solution, you should combine natural soaps and detergents. You should know how to use the detergent in your power washer. You can save your money and time you if know when to add the detergent. – Get rid of the junk and the dirt from the siding before adding the detergent to the machine. – Add the suitable detergent for your pressure washer. – Use a cleaning tank to add detergent for the better cleaning result. – Attach the detergent to the bristle brush. You should also add the liquid to the guns for sharper cleaning. – Install upstream or downstream chemical nozzle kits to the pressure washer, if you have no nozzle yet. The nozzles can clean with high pressure or low pressure. 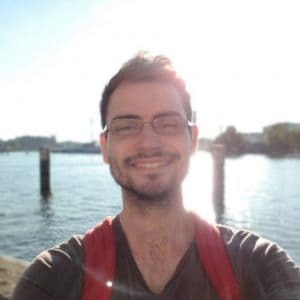 – Connect the siphon tube to the weighted filter. – Place a container near to the machine. – Fill the container with the solution. Drop the weighted filter into the container. – Attach the water inlet valve to a water hose on the machine. You should also attach an adequate water source to the opposite end of the hose. – Connect the hoses, spray wand and gun. – Turn on the water and the pressure washer. – Deject the gun trigger and allow the water to flow over the system. Guys, you have been waiting for a lot. Now, we are in the exact part of the article. Here we share tips on power washing a house with vinyl siding. We provide five parts of the section. You have to follow some instructions to drive the pressure washer safely. If you don’t follow them, it causes damage. It’s essential to abide by the rule to make a successful cleaning service. There are two kinds of pressure washers. 1) Gas pressure washer 2) Electric powered pressure washer. Gas-powered machines are using for massive works. We discuss the Gas powered pressure washer. You can check for a recommendation for the best pressure washer for a house. Wash, if any junk is present in the inlet filter. Connect the chemical injector and other accessories like this. Try to use the perfect solution. The solution may be the detergent and the soap. The mixing solution kills the bacteria and the mold. Set the pressure washer with PSI of around 1300-1600. Set the nozzle with 25 degrees. To start the engine, you have to pull the starter cord. Tight all the hose connections to stop entering air to the lines. Spray wand should set in the low-pressure setting to block the kickback. The nozzles of both the gas and electric washer have low-pressure settings. They also have wide fan settings. Turn on the water faucet. Press the spray wand trigger to prepare and cleanse air from the machine. Start the pressure washer. Give it a minute to warm up. When the trigger is off, try to turn off the machine within three to five minutes. Adjust the settings of spray and pressure. Insert the nozzle tips in the wand. Now, the pressure washer is ready to clean. And we are in the most attractive section of the article. Here you can find the learning outcomes. Your home exterior may damage if use the pressure washer in the wrong way. You should check the spray pattern and pressure settings for cleaning experiences. Besides our instruction always follow the user manual. Let’s learn the best way to pressure wash a house. We provide some instruction below. Try to support them. Set the wand at a 45-degree angle and also set the nozzle four feet from the house. Hold the wand at a distance that gives a good washing result. Select a small area to clean at a time. Stop cleaning from the base to restrict the streaks. Work from the top when rinsing the siding. Use long, covering strokes for cleaning. Use an extension wand for cleaning the high places. 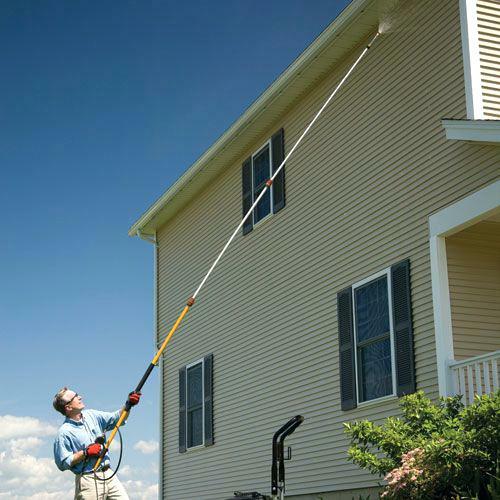 Take a wide pattern spray to prevent the damage to the siding. TSP cleaner – 2/3 cup. Dry the siding to air. Try to start cleaning early in the morning. So your siding can get a lot of sunlight. You should select a warm day for that. 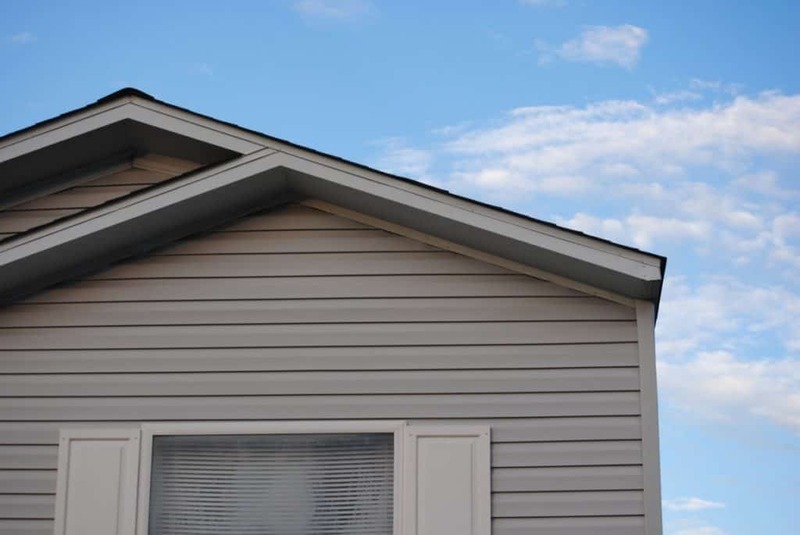 You should need to wash your siding once a year, if you shady location, moist climate or cool. A strong brush, scrubbing power and brillo pad are tools for dig into the surface. These tools can dig into the soft surface of the vinyl. You should check the sign of damage after the cleaning process. If you ignore checking the loss, your home may be at risk for dangerous problems. Pressure washer produces massive power. It can cause severe injuries if you can’t operate it in the right way. The full process of cleaning becomes a failure if it causes serious injury. Water steam from the pressure washer causes severe damage or harm your skin. So, never through the water from the machine at your hand, pet or any people. Wear goggles or safety glasses when you operate the washer. Wearing glasses will save your eyes. Never use the ladder while working with a pressure washer. The spray wand can throw you off the ladder when you press the trigger. Stand minimum 6 Feet distance from your power lines when spraying water. Turn on the safety lock on the trigger when the machine is not washing. You should also do the same when changing the nozzle tips. Secure your doors, windows, and pets. Make sure that your pets and children are inside the home. And close all the doors and windows before starting the pressure washer. The machine is potentially dangerous. So you should operate it with your common sense and sincerity. Here is a complete video from e-how about pressure washing a house. Ques.1: What is the GPM of the machine need to wash for siding? Ans. The machine needs 2.3 GPM. Ques. 2: How much should the nozzle be set? Ans. Around 25 to 40 degree. Ques.4: How can I save my eyes while cleaning with the pressure washer? Ans. You should wear goggles or glasses to protect your eyes. Ques.5: How do I protect my pet and kids from cleaning? Ans. You should close the doors, and the windows before start the pressure washer. Ensure you’re your children and pet are inside. Ques. 6: What is the PSI of the pressure washer need to clean for siding? Ans. The PSI of the pressure washer is around 1300-1600. Quite similar to your car pressure washer. Ques. 7: What is the best cleaning solution? Ans. Detergent is the best cleaning solution. Ques. : Can I adjust the pressure of the machine while cleaning? Ans. Yes, you can. Recently, I did a cleaning of my house. I have a gas pressure washer for this purpose with an easy control option. This works great. Ques. 8: What does the extension wand work? Ans. The extension wand helps to reach in the highest area with its extra attachments. There you go. Did you gather enough courage to take care of your vinyl siding? In the post, we provide step by step guide on how to pressure wash a house with vinyl siding. Hope it will help your great cleaning experience. Happy cleaning! If you are on this blog for a while, you might have noticed I love to mention the sources. Loved the wikihow-to site for step by step guideline. I bought wet and forget at Costco thinking I could spray it on my siding with a hose sprayer. After reading the precautions I am nervous about using it especially since I would have to spray above my head so much. Do you have any suggestions for spraying an entire house with W&F.